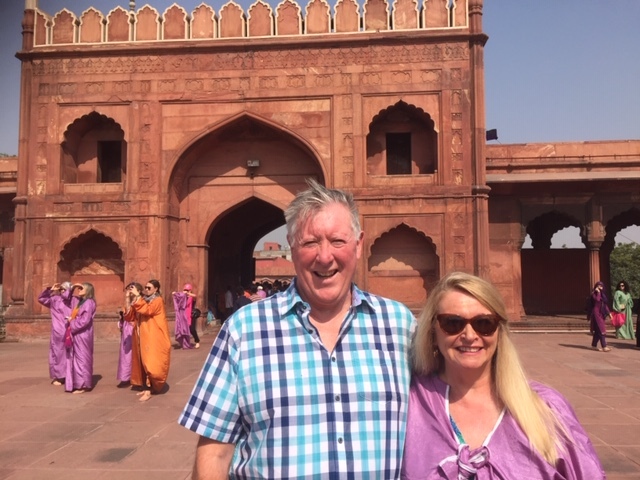 "We saw much more than we could ever have imagined on our trip and we are keen to return to India soon to discover other regions of this vast country, full of contrasts and colours." I’ve travelled a lot for work over the years, but India was somewhere my partner and I had yet to visit. 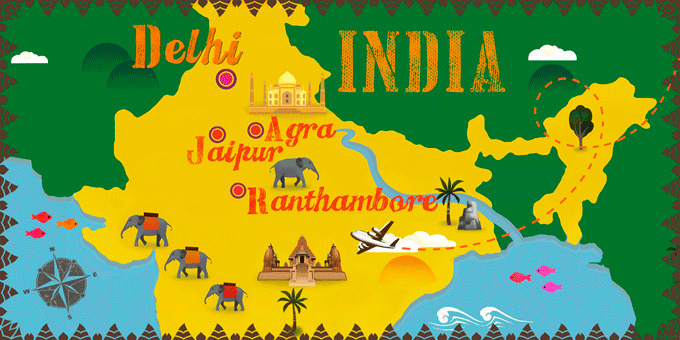 It wasn’t particularly top of our lists, but we spotted the deal online and figured it seemed perfect for us, hitting all the top sights in the iconic Golden Triangle as well as Ranthambore, famous for its royal Bengal tigers. I had never been on a tour type of holiday before, but the itinerary looked fantastic and I expected that being part of a tour would give us the confidence to really enjoy the experience, not having to worry about the organisation side of things. We were also pleased to have direct flights to and from India and although I had some unfortunate visa troubles at first, once that was all sorted we began to really look forward to our first adventure in India! Like most people, I was most looking forward to visiting the Taj Mahal, the worldwide symbol of India. I have recently been reading David Gilmour’s latest book about the British in India during the days of Empire which added to the anticipation of being able to walk in the footsteps of the Maharaja’s and see the historic places and monuments that played such pivotal roles in the country’s history. 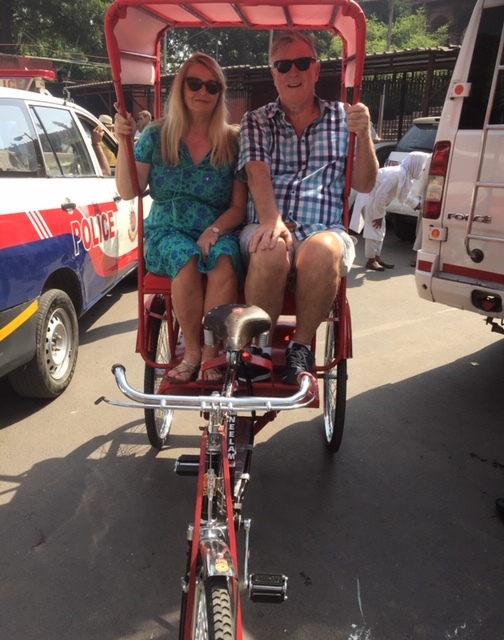 Delhi, our first stop in India, was like a ‘baptism of fire’! The cultural differences were very evident and you simply have to experience it for yourself to understand the sheer volume of both human and vehicle traffic. When it comes to getting around in Delhi by road, you would almost always be better off walking! 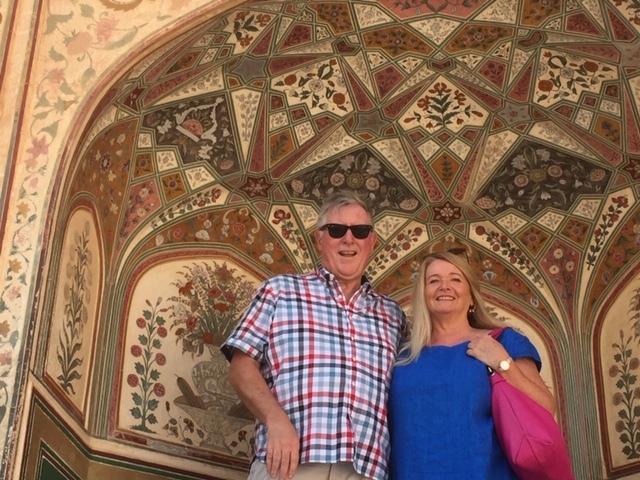 We spent time in Delhi both at the beginning and end of our tour and found that walking around the markets was the perfect way to soak up the vibrant atmosphere and watch the locals going about their daily lives. In particular, the sprawling Karol Bagh market was a great experience with its incredibly cheap clothes stalls, ornaments and jewellery, perfect souvenirs to return home with. It was a shopper ’s paradise! When you're on a tour you run the risk of only ever seeing the country through its tourist sights, so it was important for us to get stuck in and visit these markets, off the beaten path. Our guide for the Golden Triangle portion of the tour was Bhanu, who was encyclopedic in his knowledge and loved sharing with us his experience of living in India, as well as insightful historical facts. We spent a fair amount of time on the road, but the guide was always talking to us along the way, enriching the experience with interesting stories. There were 23 of us in the group, and we were all pretty friendly by the end of the tour, exploring and dining together in the evenings. The tour experience is undoubtedly worth it, especially in a country like India, which can often be overwhelming to the senses. With all admissions already paid for we could just sit back and enjoy. Bhanu was really flexible and gave us options in case we didn’t fancy any particular stop, and he even organised an off-itinerary elephant ride for some members of the group; nothing was too much trouble. Driving down the many dusty roads, you worry that you could end up stranded if something happened to the bus, but on the one occasion that our bus suffered a puncture, we were back on the road within half an hour, thanks to the impressive organisation of the guides. We travelled from Delhi to Jaipur and Agra, before taking a train up to Ranthambore, after which we would return to Delhi. All of the hotels were of a good standard, especially the one in Delhi, which had great facilities and a touch of luxury. We had opted for the half-board option, so always had a hearty breakfast and dinner to fuel our travels. Often, people are worried about falling ill whilst travelling in India, but as long as you’re careful and avoid the common pitfalls of ice and non-bottled water, you’ll be just fine. We had no troubles with the food and particularly loved the fresh fish, served at dinner time. We visited plenty of impressive palaces and forts in the Golden Triangle, all with their own special charms and historical significance, but the Taj Mahal exceeded my expectations. Thanks to Bhanu, we skipped past all the queues and, believe me, the Taj Mahal was a mass of humanity with long lines of locals and tourists clamouring to get in and see the glorious mausoleum, a symbol of love for a dead queen. Our afternoon visit gave us plenty of time to soak up the sheer scale and splendour of the romantic monument and take the typical Princess Diana photos! For me, the real highlight was hearing about the history behind its construction. We crossed the river and visited another palace, one of Maharaja’s, with a fascinating story of royal rivalry behind it, and standing inside I felt transported to the old days of the Raj. I was really looking forward to experiencing a train journey in India; it’s something that seems very symbolic of the country, thanks to the many depictions you see in films these days. No, we didn’t have to sit on the roof, although we were a little short on time on the way to the station, but the delayed arrival of the express allowed us to clamber on board with our luggage, and begin our four-hour journey into the countryside and towards Ranthambore. The journey was certainly an experience and I’m glad I had the opportunity, but there were moments when you certainly felt like a foreigner in a distant land! We stayed in the comfortable Jungle Vilas in Ranthambore and the whole experience was a big contrast to the other part of the holiday. The landscapes were lush and full of wildlife, very different from the dusty roads of the Golden Triangle. Sadly, our group weren’t lucky enough to see a tiger in the wild, but we enjoyed the fun-loving guide in the afternoon who took us out by jeep to enjoy close-ups of crocodile, antelope, deer, peacocks and monkeys in the vast national park. You can’t travel to India and not notice the poverty, which can be a shock to visitors from the West. The street children, seen begging in the big cities, can be quite heartbreaking. There’s also a big wealth divide; you might see flashy cars driven by glamorous locals one minute and the next you come across some of the poorest people you could ever imagine. Our guide did a great job in advising us how to be street-wise in India, to avoid any unnecessary hassle, so we all felt safe and reassured, but you can’t help but feel affected by some of the things you see. We saw much more than we could have ever imagined on our trip and we are keen to return to India soon to discover other regions of this vast country, full of contrasts and colours. I found the whole thing to be thoroughly stress-free which makes me feel inclined to choose another tour holiday in the future. We came home truly impressed by the experience and full of memories and anecdotes from our Indian adventure. A must-visit whilst in Delhi. It's off the tourist radar and is the perfect place to visit if you desire an insight into everyday life in India. We loved seeing the locals preparing for Diwali. Be aware that there is a huge tax on alcohol in India, particularly spirits, so keep in mind that drinks won’t be as cheap as you might expect. Although you might be eager to cool down with an icy drink, it’s best to avoid ice altogether in India, as you can’t be sure where the water has come from. Rajasthan is the largest Indian state and offers a vast array of sightseeing opportunities, from its majestic palaces to its impressive forts. The capital of Rajasthan is Jaipur, which is famed, worldwide, for it's stunning Palace of the Winds and the state shares a border with Pakistan.